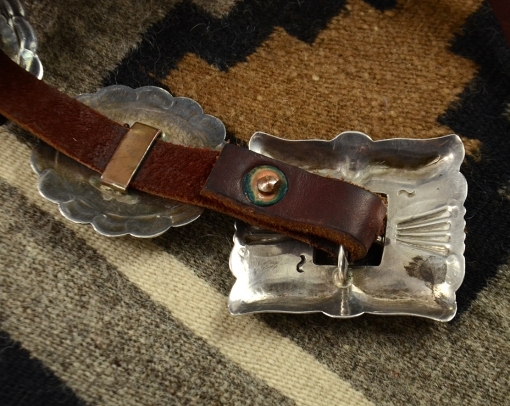 Wonderful 1960’s sterling silver concho belt by a very fine Navajo silversmith, Fred Thompson(1921-2002). His sign can be seen on the underside of the buckle. 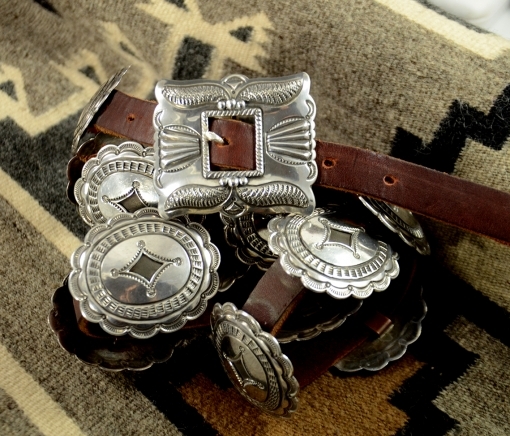 There are 12 conchos and the buckle. 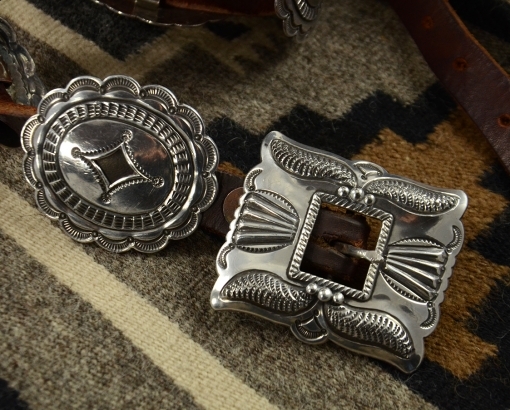 Each concho measures 1-3/4″ X 2″ and the buckle measures 2″ X 2-1/4″. The total length of the belt is 45″. 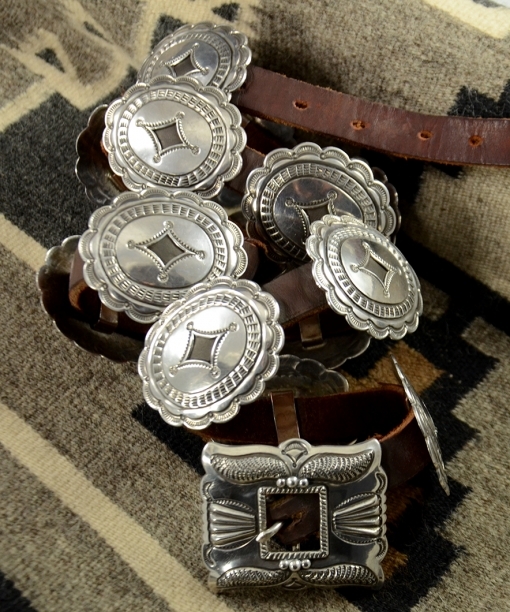 It is an excellent example of a classic belt with stamp work on the 12 conchos and repousse and stamp work on the buckle. Although Fred Thompson worked into the 1990’s, this belt is likely from the 1960’s. Fred Thompson began making jewelry in the 1940’s building his career on the skills he learned in Tobe Turpen’s shop in Gallup, NM beginning when he was 15 years old. He worked from the 1940’s through the 1990’s and was a teacher as well as a silversmith. World renowned, Fred focused on traditional Navajo styles using stamps that he made himself using the highest quality stones available. Thompson’s pieces are now rare and hard to find. 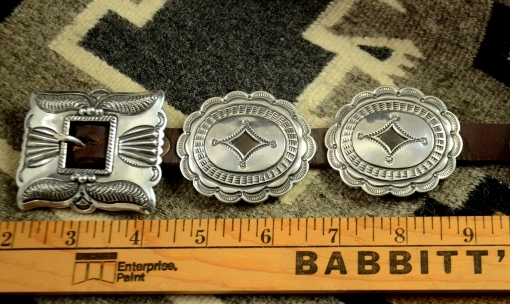 Each concho measures 1-3/4" X 2" and the buckle measures 2" X 2-1/4". The total length of the belt is 45".